Back in 2006 Pete Yorn took a public break after releasing his third album, Nightcrawler. Seeming a bit disillusioned with the state of the world, Yorn was working his way through some personal issues but defiantly voices that he was never ready to hang up his guitar. And if in 2008 you thought this was a possibility, you couldn’t have been more wrong. Two-thousand nine saw Pete Yorn release two albums–the much publicized album of duets, Break Up, with Scarlett Johansson and the haunting, studio-crafted Back & Fourth–followed by his self-titled, dubbed The Black Album, fifth album in 2010. Touring in support of three albums in two years, Pete Yorn headlines Portland’s Wonder Ballroom on Sunday, April 3rd ready to celebrate the 10th anniversary of his debut album, Musicforthemorningafter, where Yorn says, “We will attempt to play my debut record in its entirety”–a feat he’s attempting on just six West Coast dates. Opening by himself is Ben Kweller whose youthful rock was anthemic for teens and college students in the early 2000s, capturing many of the same fans as Yorn. Kweller brings his “huge energy,” as Yorn puts it, “even as a solo act,” with his country-tinged, poppy rock singalongs including songs from his fourth studio album, Changing Horses, released in 2009. 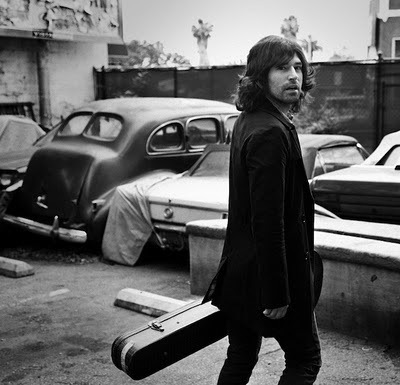 In the three years between albums, Pete Yorn was certainly not sitting still; in fact, the 2010-released Black Album was actually recorded just a few weeks before Yorn would even enter the studio to lay down tracks with heralded producers Mike Mogis and Rick Rubin for what would become 2009′s Back & Fourth. Those “black” sessions took place in Salem, Oregon over five days, with producer Frank Black (The Pixies) guiding the effort to discover Yorn’s true raw sound and cobbling together a backing band. The result is Pete Yorn’s most stripped down, rocking, and honest record to date, all of which stems from the organic environment in which it was recorded. Pete Yorn: Yes, I got sick on the second day of recording but we powered through. It was the nastiest flu that I’d had in years. I think the rawness of my voice suits the record well in hindsight. Overall, it’s clear that this album is very personal and authentic, with heartfelt lyrics on tracks like “Rock Crowd” and contemplated joy on “Future Life.” How much of this album was pre-visioned, practiced and written before you went to meet Black and how much just happened? The songs were all basically written before I met Frank. We worked on a few lyrics on a couple songs. The songs could’ve been recorded in a number of different styles. Frank was great at guiding the arrangements towards the no frills presentation that exists on the record. He stripped things down in order to make room for more power. It seemed counterintuitive at first, but it was ultimately the way to go. Why a self-titled album after all these years? Does The Black Album nickname and subsequent dark cover art have anything to do with working with on of your heroes, producer Frank Black? Tell me about the recording sessions for this album, which took place in Salem at drummer Jason Carter’s studio. They came about quite spontaneously, and the whole album was recorded in just five days. This project kind of came up last-minute. I had a bunch of songs. I was heading to Omaha to make Back & Fourth and a few weeks before I was set to leave, this opportunity to work with Frank popped up and there was no way I was going to pass that up. We gave ourselves roughly five days to capture as much inspired material as possible and we ended up with a whole record. I had no expectations other than, “Let’s see where this goes.” It was fun to hang out and work with Frank.